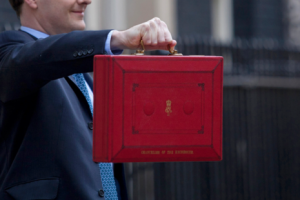 In April 2014 George Osborne’s budget set off shockwaves throughout the UK’s life and pensions sector. With the swipe of a pen he removed the requirement that pension policyholders be required to invest in an annuity upon reaching 65, and instead that from April this year they could begin drawing down on their investment pot from the age of 55 to invest as they wished. This shook up the business model of this sometimes sedate sector. Gone were the safe roll-over annuity businesses of the past, where customer engagement consisted of a once-a-year mail shot or potentially two in the year the annuity was due to be purchased. Instead the sector woke up to a new dawn where customers were free to take their investments elsewhere, vastly increasing competition in the sector and handing a major advantage to industry’s digital disruptors. Customer engagement now had to be at the heart of their strategy if they wished to retain existing customers and attract new ones. But the trouble is that after years of actively pursuing a strategy of low engagement with their customers, third party disruptors in the form of fund aggregators and wrap platforms have stolen the march on traditional financial services firms by offering sophisticated digital experiences, exactly the type of vehicle pension holders would be likely to turn to when they draw down on their investments. This left the sector with a dilemma – to pursue the same strategy and continue to miss out on new customers as well as losing those from their mature businesses, or embark on a new approach developing their own direct-to-consumer (D2C) digital strategies? Delivering any resulting digital change programs on time and on budget in order to meet and exceed industry ROIs. Once financial services firms recognise these issues and begin to address them directly they will be a substantial way down the path to developing a successful digital strategy. From here they can protect and even grow their market share. Putting the right structure in place today to take advantage of the changes coming later this year is crucial. If it is done correctly 2015 can be a year of digital opportunity.